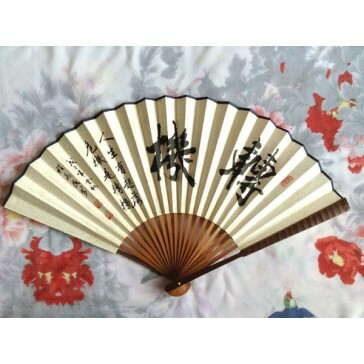 This is for a Chinese fan that contains handwritten Chinese calligraphy. The two huge symbols say "a favourable turn" and the two lines of small symbols mean "life has up and downs, crisis is a favourable turn." Dated and stamped by the calligrapher.